Phew, try saying that fast 5 times!! 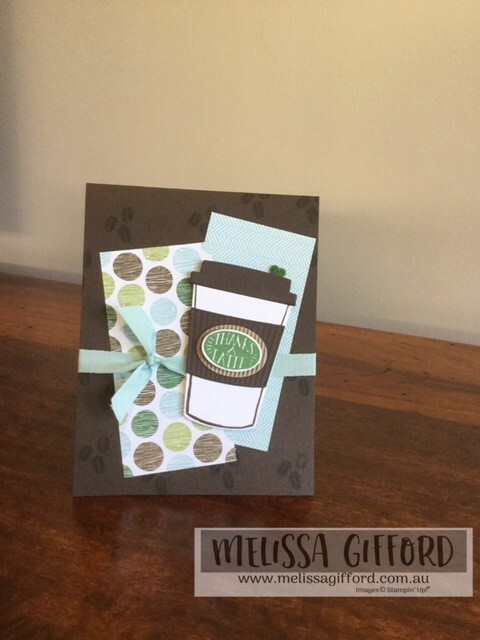 We had a card class yesterday and the theme was coffee - showcasing the adorable Coffee Cafe suite. So much fun!! First I made some treats for the girls - they love a little bit of chocolate whilst they craft! 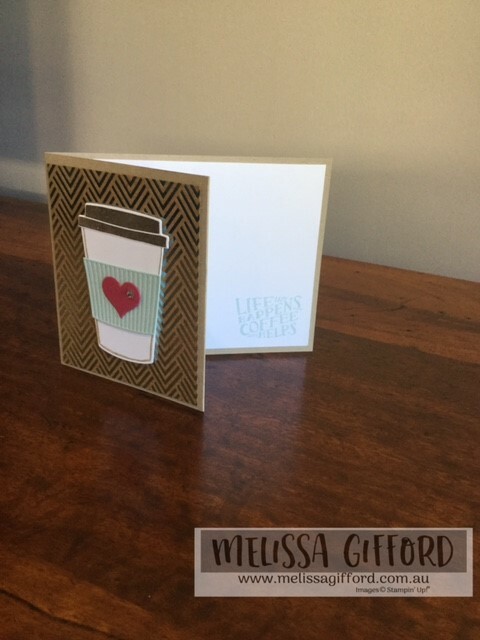 The mini coffee cup is die cut from the designer series paper. The banner and sentiment are from Badges and Banners and I used the Best Badge punch to cut them out. Quick and easy favours! This card is also a gift card holder. The gift card tucks away inside the card behind the coffee cup. 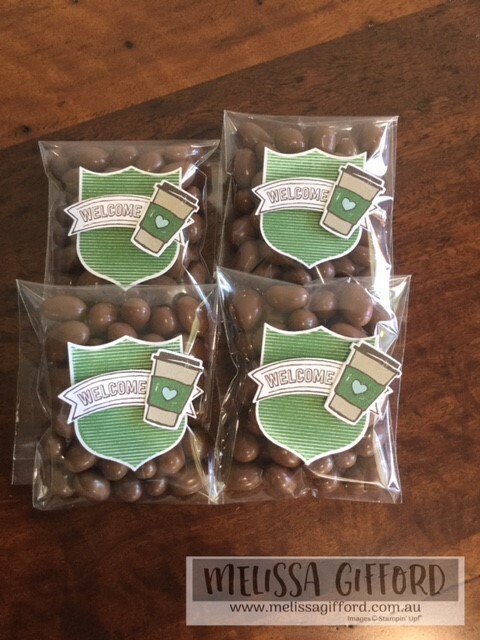 Thanks a Latte - we can all use thank you cards. 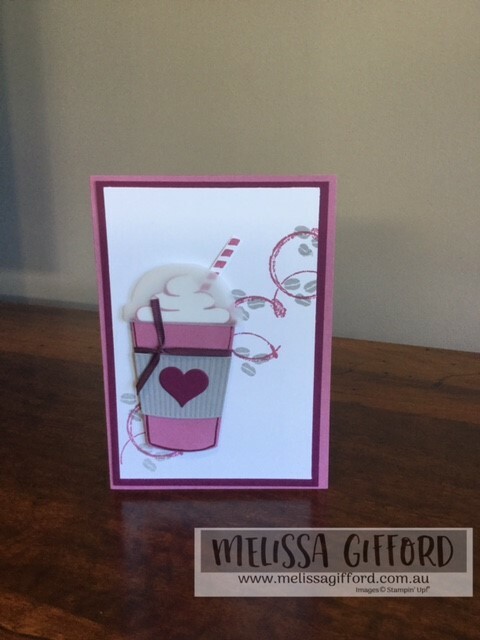 A fun milkshake card with a pop of colour - thanks to Kelly Kent for this idea!